Yesterday knowing it would be the last day above freezing for a while, I decided to give my picture frame one more coat of poly. This morning I went out and grabbed it and brought it in the house to finish drying. The third coat really did the trick on the wood. It was still tacky when I brought it in the house, but within just an hour or so it was dry enough to put the photo in, so I did. 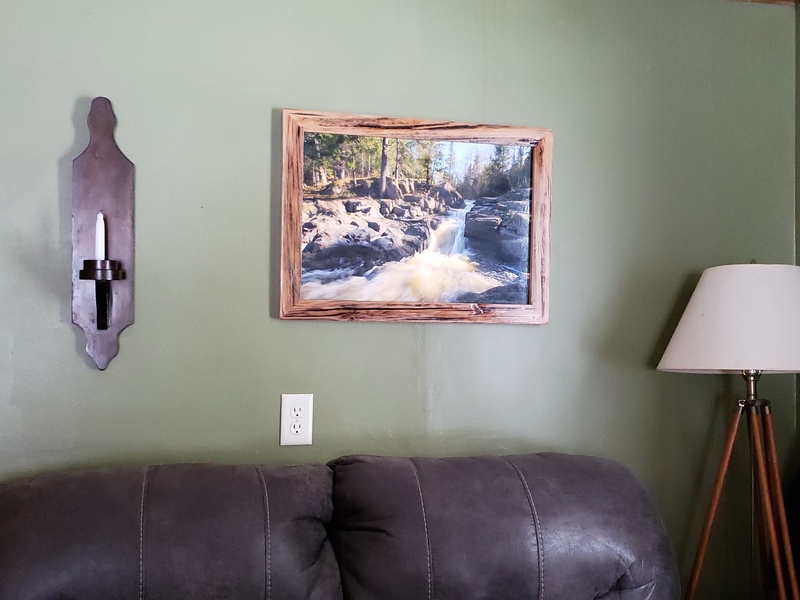 I’m really happy with the way the frame turned out, just wish the photo posted here would show better.